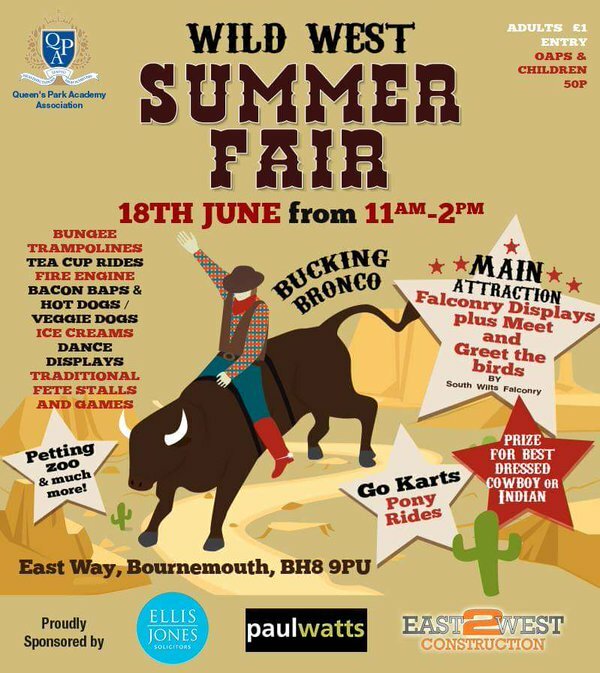 Why not pop down and join in on the fun at this years Wild West Summer Fair at Queens Park Academy School. This is being held on the 18th June from 11am - 2pm and has lots of fun and attractions to be enjoyed by yourselves and the kids. We're sharing a stall with local solicitors, Ellis Jones - we're keeping what we are doing secret, but it should be lots of funs for the children. We're helping out with a raffle prize or two as well. It was a brilliant raffle last year. Lots of lovely things. Please see the leaflet for more information.